To get the Science of Attraction to work for you, there is one critical thing that you need to KNOW and there is one critical thing you need to be able to DO. You need to KNOW how the relationship between the conscious and sub-conscious mind. 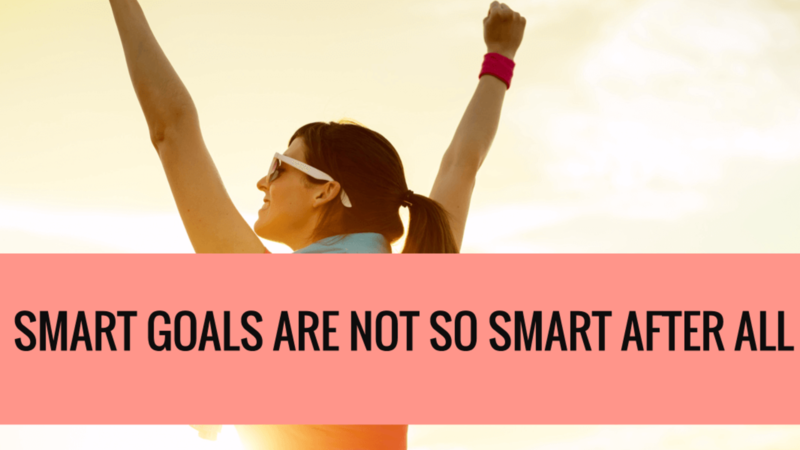 You need to be able to set GOALS properly. I will deal with #2 in this article and then #1 in a subsequent article. The first step is to be open minded and really forget most of what you have been told or read about goals before. Learning to set the ‘RIGHT’ goals for me and how to set them ‘Completely’ has really changed my rate of progress in life. Before I learned the scientific process of setting and achieving goals, I did have a Vision of what I wanted my life to be and I was always working towards it. Vision and Action are critical to advancement in life but Goals really pushes you forward faster. One of my very good friends always encouraged me to set goals and write them down but my relative success really made me apathetic to setting and writing down my goals. This is where sometimes, small success could be a hindrance to greater successes. My life could have been far advanced had I listened but it is what it is and I have learned my lesson. Specific – when you write your goal it must be very clear about what you want. A perfect stranger should be able to read your goal and determine if you have achieved it or not. In one of my recent strategy calls I asked the client what is your goal and their response was ‘I want to advance my career’. I asked her is she was Santa Clause or a Genie and she was able to grant wishes what would she give a person who is asking to advance their career. She busted out in loud laughter when she realise how vague her so-called goal was. Your goals need to be specific, you need to be able to describe clearly what goal achievement looks like. Probable – Normally when you hear or read about SMART goals, the ‘A’ usually represents Attainable and the ‘R’ usually represents Realistic . In the world of scientific goal achievement, these two words are abolished. All goals are attainable and history has proven that man has been able to constantly push the envelop of what is possible. The word Realistic is somewhat meaningless, I find it makes no sense. Was it realistic many years ago to put a tube of steel in the air and send it to space and land on another planet? One of my favorite quotes on the topic is by Will Smith who said ‘Realistic is the most common path to mediocrity. I prefer to use the word Probable. You should be able to achieve your goal based on your level of development. When I asked another client, what is your goal, she said ‘I am currently a stay at home mom and my income is $0 so I want to move from $0 to $1M in one year’. Can she move from $0 to $1M in one year? Sure its possible but is it probable for her based on how she has developed herself. Has she developed herself and or identified a business idea to be able to earn $1M a year. Is she millionaire material? Time Limit – do you have a completion date in your goal? If not, its not a goal. A goal without a date is not a goal. I have found that the #1 reason that people do not put a date to their goal is that they are fearful that they may not achieve the goal by that time frame. Here is a little known secret, successful people most often do not meet their deadlines. They either hit the goal way before and set another goal or miss the deadline date and continued to pursue the goal as they understand that ‘failure’ is really ‘feedback’ about something that they don’t know or don’t know how to do something. Written – have you written down your goal? Can you show it to me right now? A goal not written down is also not a goal. In my next article on understanding the relationship between the conscious and subconscious mind I will explain the impact of constantly looking at a written goal has on the sub-concious mind and how it helps greatly in goal achievement. Present Tense – is your goal written in the present tense? As if it is already achieved? Successful people begin with the end in mind and therefore if the desired end is successful achievement of the goal, then you have to start from that point. Goals should be written in present tense. In my next article I will explain how the present tense impacts the sub-conscious mind and how it quickens goal achievement. Emotions – do you have the right emotions aligned to your goal? Does your goal excite you? Is your goal a burning desire? Have you identified how you would feel when the goal is achieved? With the thousands of people I have dealt with, when I asked them why do they want to achieve their goal or what it would do for them if they achieved their goal it always comes down to the fact that the goal achievement will lead to a feeling of satisfaction, fulfilment or happiness. Emotions are the critical driver of perseverance to goal achievement. You will encounter challenges on your way to goal achievement and it is the emotions attached to your goals that will keep you from quitting. Quitting is easy, that is why so many people quit at their goals, hope, dreams and aspirations. Challenges – have you identified and written down the expected challenges on your way to achieving your goal? It is easier to defeat the enemy if you know who they are. Challenges are essential to goal achievement. They serve two purposes. The first critical purpose of challenges is to ensure that you really really want what you say you want. When your goal is a burning desire, you will be able to perserve through any challenge. Most people do not have the right goals for them so it is not really a burning desire and they accept the possiblity of failure even before they start pursuing their goals. The second critical reason for challenges is to ensure that you have learned what you need to learn in order to achieve their goals. Let’s be honest, if you knew what you need to know and know how to do what you need to achieve success then you would have already accomplished what you want to accomplish. There are obviously gaps and challenges are there to identify those gaps. Celebrate – have you identified how you are going to celebrate the achievement of your goal? There is a part of the brain that craves recognition and celebration. Successful people are great at celebrating. Celebrating reiinforces success to the brain. It let’s it know that pursuing and achieving goals is a good thing and fun to do. It makes future successes easier. Sacrifices – have you listed what you are going to sacrifice in your pursuit of the goal? You must be able to identify what you are willing to give up to be able to accomplish your goal. The bigger the goal, the bigger the sacrifices you will have to make in the accomplishment of the goal. Typical sacrifices include time (including time away from family and friends), certain activities, certain relationships, money and/or some of the things you are accustomed purchasing or would like to purchase. The most successful people are willing to make the sacrifices that most other people don’t want to make and this is why they have what most other people won’t have. Your Goal – most people set goals based on other’s people views and opinions. Oscar Wilde, Irish philosopher once said ‘ most people are other people’ and what he meant was that most people set goals and visions for themselves based on what their parents want them to do, what their wider family wants them to do and what they think would equal success in the eyes of ‘society’. It is important to be able to set goals based on what you feel is your purpose, your divine appointment on this earth.